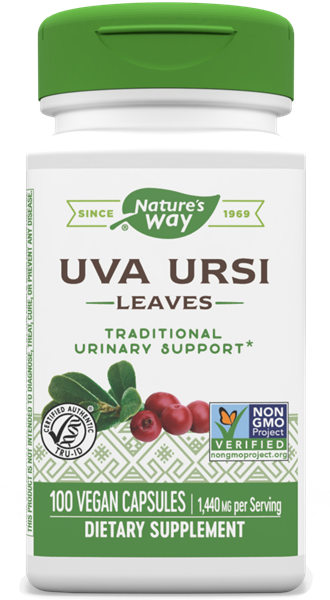 Uva Ursi Leaves / 100 Caps - Nature's Way®. Take 3 capsules twice daiy with food or an 8 ounce glass of water. Caution: Do not use if pregnant, nursing or under 12 years of age. If you are taking any medications or have kidney disease, consult a healthcare professional before use. Do not take for more than 14 days continuously unless otherwise directed by a healthcare professional.